You have been selected to receive a Sullivan Ballou award because of the many community activities into which you have poured your heart. We have heard about your valuable work with Meals on Wheels as a volunteer and board member, as a board member of the Minnesota Council of Churches, and as the chair of the board of your own church. But it is at the Animal Humane Society that your friends and colleagues have truly felt the energy and warmth of your heart. We are told that since you started volunteering there in 1990 you have devoted 20,000 hours helping fearful, untrained, or abused animals regain the confidence and health that will make them good pets. We understand that you are largely responsible for starting the Canine Adoption Preparation program. 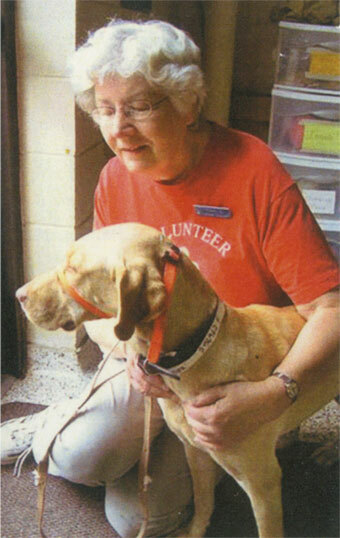 As a volunteer supervisor you have trained hundreds of volunteers to assist in the work of the Humane Society. Love and care of animals who are helpless and can return only affection is surely one of the purest expressions of true heart energy. Your devotion to this work is the kind of heart action in the world that the Sullivan Ballou Fund seeks to recognize and affirm. Thank you for the inspiration you have given to the rest of us.